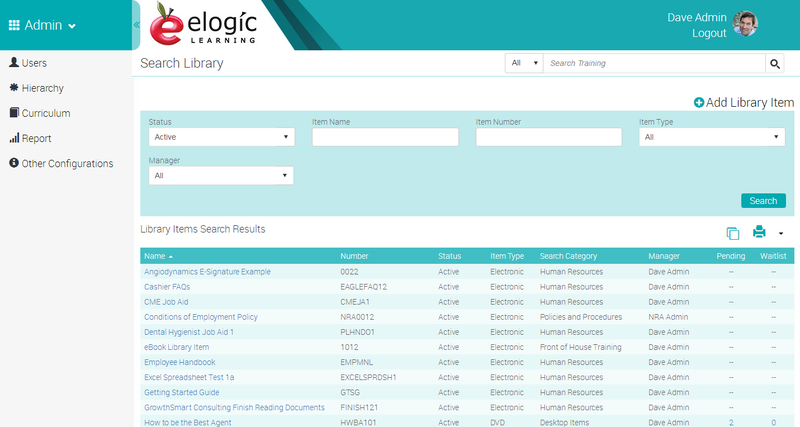 Manage all your library items in the eSSential Learning Management System. A library item can be a traditional, physical item where there is a limited quantity that can be checked out (books, periodicals, DVDs, CDs, etc.). A library item can also be an electronic file (PDF, Word, Excel, PowerPoint, etc.) that is uploaded to the LMS. When the user “checks out” an electronic library item, they simply download the item and the user’s review of the material is documented in their transcript.